If your business wants to streamline its scrap recycling, a Joliet scrap metal container rental from Belson Steel Center Scrap Inc. is the best choice. We make recycling your scrap metal easy and efficient! 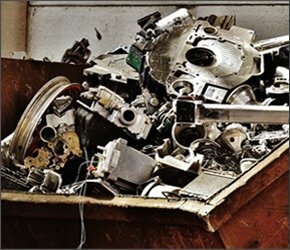 Most businesses in manufacturing, electronics, construction, and the automotive industries amongst others, produce scrap metal as one of their business’ byproducts. While scrap metal could be classified as waste and left to rot or even taken to the landfill, scrap metal is actually extremely valuable. And when scrap metal is recycled, it not only allows the original business to make money (companies like ours will pay top dollar for scrap), but it also ensures that new metal mining needs are reduced. This means that natural resources are preserved and environmental destruction is mitigated. 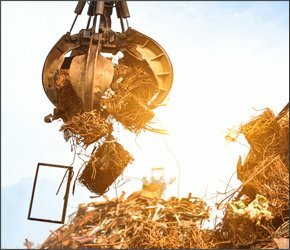 Because scrap metal recycling is a big industry, recycling your scrap metal is not only environmental and financially savvy for your company but great for the economy at large, too. 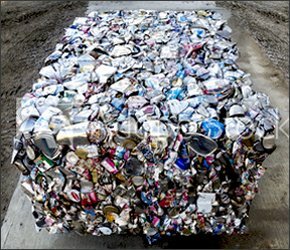 When you choose to recycle your scrap metal, you’re doing the responsible thing and the easy thing. Nothing is more straightforward than calling our scrap metal company for all of your scrap metal services, including the management of all logistics associated with scrap recycling. How Does Joliet Scrap Metal Container Rental Work? Assess your scrap metal collection needs. First, you’ll need to access your scrap metal production levels in order to determine what size of scrap metal collection container you need. If you’re unsure what your production levels are or what size you need, reach out to our team – we can help you to understand what size container is best. Choose a container size and we’ll drop it off. After you understand what your scrap output levels are, all you have to do is select your container size–we offer 20-, 30-, 40-, and 65-yard containers–and then we’ll drop off your container in a location of your choosing. Fill it up with ferrous and ferrous materials. Next, just dispose of your scrap metal as you normally would each month, but instead of leaving it to pile up on your property or having it picked up for the landfill, place it in one of our onsite scrap metal containers. 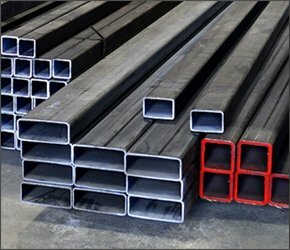 You don’t need to worry about separating out ferrous and nonferrous materials or doing anything else. Call us for pickup when it’s full. Once your container is full and it needs to be emptied, you can call our team and we’ll handle all of the logistics associated with picking up the container, weighing your scrap, separating scrap, paying you cash for scrap metal collected, and recycling the container. Then, we’ll drop the empty container back at your property so that you can refill it. To learn more about scrap metal recycling from our trusted scrap recycler, call us directly or send us a message today. We offer onsite Joliet scrap metal container rental services, as well as myriad other metal recycling-related services. We look forward to partnering with you!